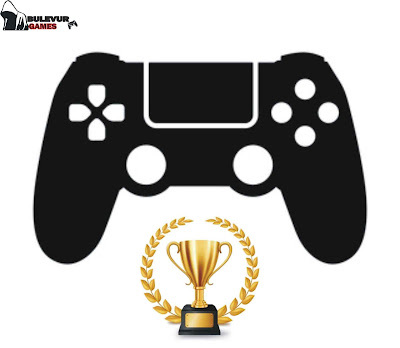 We at #BulevurGames™ believes that the fundamental remedy to the psychological health of human race especially the young ones, lays in the massive psycho-transformation that only video games can offer and we will always believe in that core essence of soul rejuvenation . Be it as it may, the negative impact of this incredible machine cannot be over emphasized, which calls for adequate censuring and regulation of this culture. Video game addiction can be said to be the excessive control of game play on an individual, that constantly compels him/her to indulge in the act with hyperactive concentration that often result in isolation, vague inventiveness and other psychological effects. The classification of video game addiction by some psychologists as a “mental disorder” is totally out-ruled because mental disorders are categorized as an aliment on the shelves of mental health; whereas there are no prescription for happiness. Sometime in 2003 the American Psychiatric Association (APA) proposed criteria for video game addiction in the 5th edition of their Diagnostic and Statistical Manual of Mental Disorders, concluding that there was insufficient evidence to include it as an official mental disorder. However, proposed criteria for "Internet Gaming Disorder" are included in the Section 3 (i think), and their also Conditions for Further Study (hypothesis) on that regard. While Internet gaming disorder is proposed as a disorder, it is still discussed how much this disorder is caused by the gaming activity itself, or whether it is to some extent an effect of other disorders. In years passed, video games has been accused of encouraging violence among young people, according to video game activists “these research that has linked violent video games with increased aggressive behavior and other research has failed to find evidence for such claim”. The skeptic assumption that feed these research to me can easily be attributed to the myopic understanding parents or guardians who have attributed times spent on video gaming as wasted, you can also read about this in our previous topic; “video games and the Nigeria Education system”. Be it as it may, we cannot completely ignore that there are still some reasonable negative evidence relating to video game addiction which has been confirmed by professionals. They are as follows: A 2006 lecture reported by the BBC indicated that 12% of polled online gamers reported at least some addictive behaviors. The lecturer, Professor Mark Griffiths of Nottingham Trent University, stated in another BBC interview that addicts are "few and far between. In 2007, Michael Cai, director of broadband and gaming for Parks Associates (a media/technology research and analysis company) and one of the few video game addiction experts, said that "Video game addiction is a particularly severe problem in Asian countries such as China and Korea." Results of a 2006 survey suggested that 2.4% of South Koreans aged 9 to 39 suffer from game addiction, with another 10.2% at risk of addiction. A 2007 Harris Interactive Online Poll of 1,187 United States youths aged 8–18 gathered detailed data on youth opinions about video game play. About 81% of youths stated that they played video games at least once per month. Further, the average play time varied by age and gender, from eight hours per week (responses from teen girls) to 14 hours per week (responses by teen boys). "Tweens" (8–12-year-olds) fell in the middle, with boys averaging 13 hours per week of reported game play and girls averaging 10. Harris concluded that 8.5% "can be classified as pathological or clinically 'addicted' to playing video games", but did not explain how this conclusion was reached. Since the American Psychiatric Association decision in 2007, studies have been conducted at Stanford University School of Medicine related to video game play. Researchers found evidence that video games do have addictive characteristics. An MRI study found that the part of the brain that generates rewarding feelings is more activated in men than women during video game play. The 2009 OSDUHS Mental Health and Well-Being Report, by the Centre for Addiction and Mental Health (CAMH) in Toronto, Ontario, showed almost 10% of 9,000 surveyed students from Grades 7 to 12 get at least 7 hours a day of "screen time". A little over 10% also reported having video gaming problems in the previous year. A little more than 10% additionally detailed having video game addiction effects in the earlier year. An ongoing article in Pediatrics found a mellow relationship between staring at the TV or playing a computer game and consideration issues in excess of 1,300 kids ages eight to 11 years of age. Kids who played computer games or sat in front of the TV for more than the ordinary two hours every day greatest, which is suggested by the American Academy of Pediatrics were 1.5 – 2 times more prone to hint at consideration issues, the specialists found. Be that as it may, the investigation was additionally censured in E-Letters to a similar diary for neglecting to utilize all around approved measures of consideration issues or control for other essential factors. A later report utilizing the Child Behavior Checklist and controlling for family and emotional well-being factors, discovered no connection between computer game utilize and consideration issues. Additionally, an investigation in Pediatrics observed risky gaming practices to be far less normal, around 4%, and presumed that such issues were the aftereffect of hidden emotional well-being issues instead of anything novel to gaming. Writing in the Review of General Psychology special issue on video games, Barnett and Coulson expressed concern that much of the debate on the issue of addiction may be a knee jerk response stimulated by poor understanding of games and game players. Such issues may lead both society and scholars to exaggerate the prevalence and nature of problematic gaming, and over focus on games specifically while ignoring underlying mental health issues. Other scholars have cautioned that comparing the symptoms of problematic gaming with problematic gambling is flawed and that such comparisons may introduce research artifacts and artificially inflate prevalence estimates. Now on a rather funny note. Sometime in 2009, I came across a report somewhere in a magazine that talked out a man in Hawaii, Craig by name (or something) who sued a gaming company NCsoft for negligence and for not specifying that their game Lineage II was so addictive (can you beat that!). He also alleged that he would not have begun playing if he was aware that he would become addicted. Craig claims to have played Lineage II for 20,000 hours between 2004 and 2009. Now….. For me, Craig would have gotten an award for that, or better still listed on the Guinness Book of Records for that effort. There are no known cause of video game addiction, just like every other addiction it comes when excessive time or hyperactive concentration attention is channeled towards achieving a particular game point or get a task completed. Just like any video game career, the individual will have to play verities of games to actually get acquainted on how the industry trend. Meaning that the hyper concentration of the so-called video game addict is motivated by his strong intentions to achieve a particular point or goal in a particular game play. And currently, there are no drugs or medical prescription to stop a video game addiction rather the victim should try as much to curtail the spent on video games, or better still use the method suggested above that talked about joining video game addiction group. In conclusion, though there is no clear evidence of video game addiction symptoms aside the fact that the person spends more time on video games than any other duty or activity, video games remain the best remedy for most of our problems ranging from health, social and psychological. A victim can always enroll in a rehab for video game addiction that include video game addiction group victims to get help. But in every of our endeavor ,control remains the best regulator to every of our activity, no matter how exciting we find it. That will all for today, see you next week for another exciting series. Although there are no specific video game addiction test , but there are still ways to dictate if one is addicted to video games.